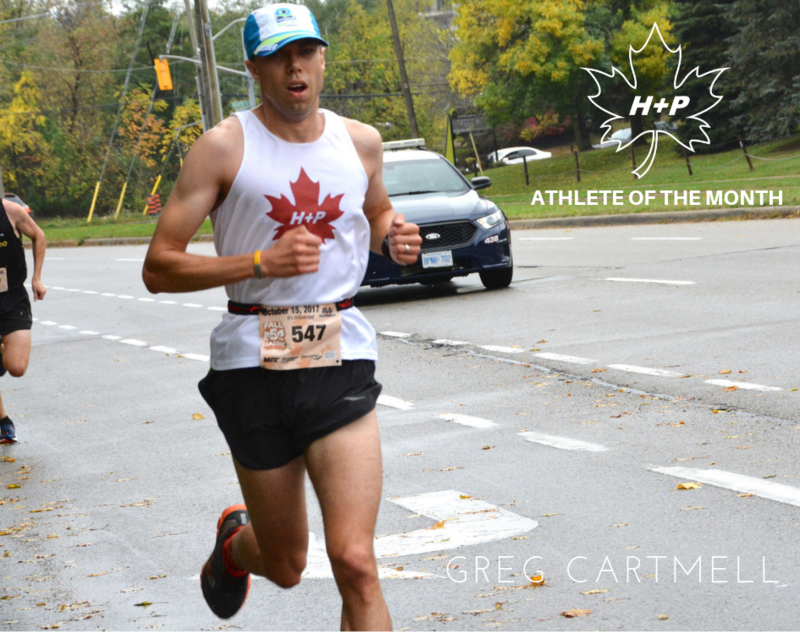 It’s time for another H+P athlete of the month award as chosen by our 2018 MVPs and 4 runners up as voted by our members along with coach Sean and Gill. 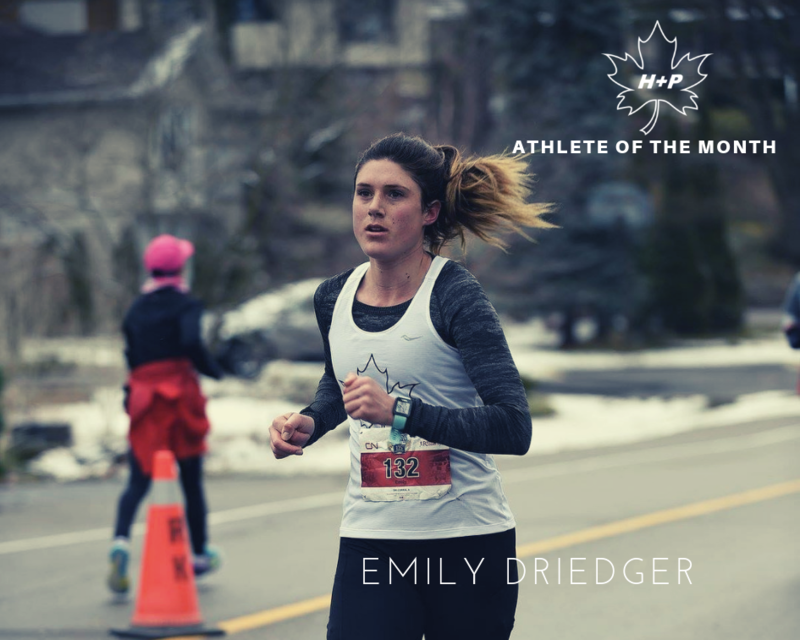 This month has been a great one for Emily! 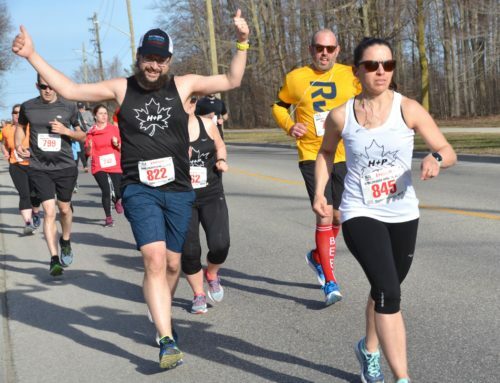 She was 1st place overall woman at the 2019 WLU loop 2.5K and also helped her team H+P Mixed take the overall win and set a new event record! 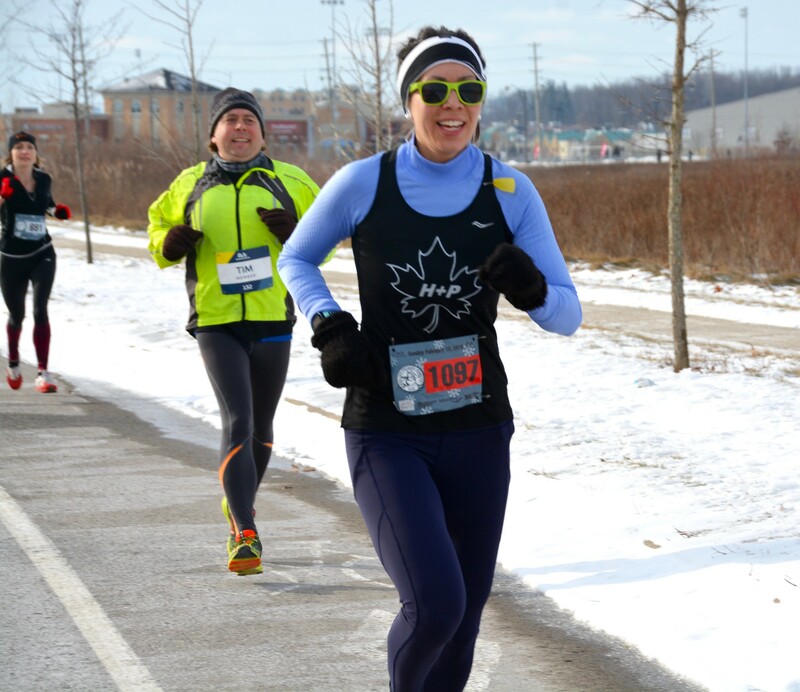 Then, new to the world of racing beyond 10K, she has an amazing performance at ATB finishing in 2:11 and finishing 6th in her AG. On top of that, she is a super friendly, positive and supportive teammate who definitely makes the club better for all! Runners up this month were Kayla and Andrew! Andrew has a breakthrough month for the team. 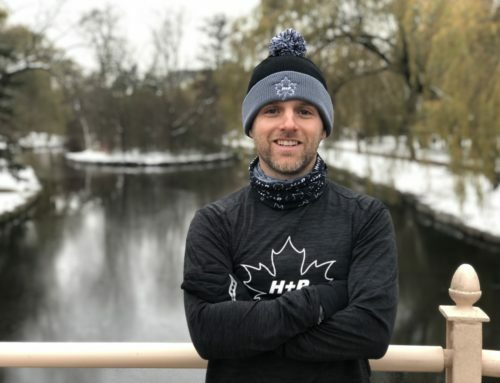 He has flipped a switch and decided to take his running to a new level this year…and it worked! 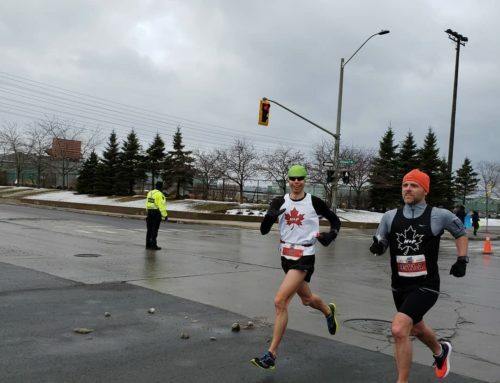 After running 1:27 at the Chilly half last year, he crushed his PB with a 1:22. 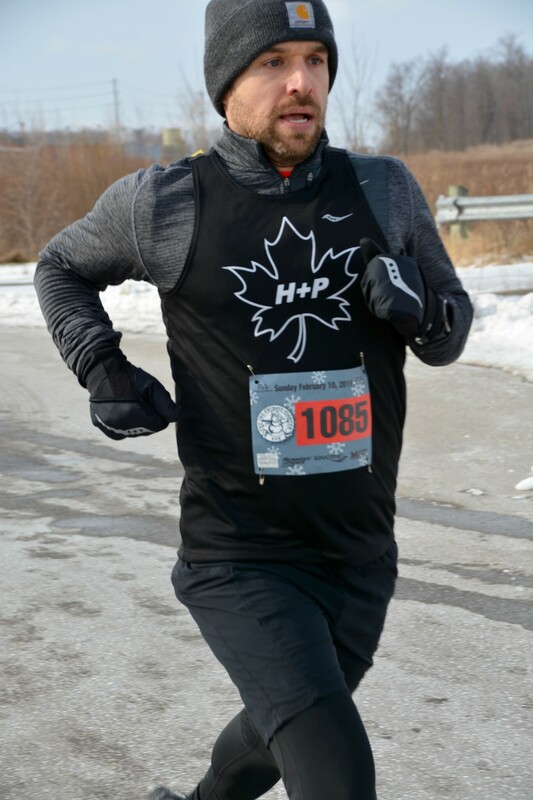 He also was a key member of our H+P men’s team who paced second OA at the WLU Loop Relay. Huge bonus points doing all of this while having his first child this year- not exactly a time saver! Congrats Andrew! Kayla was the other runner up for March. 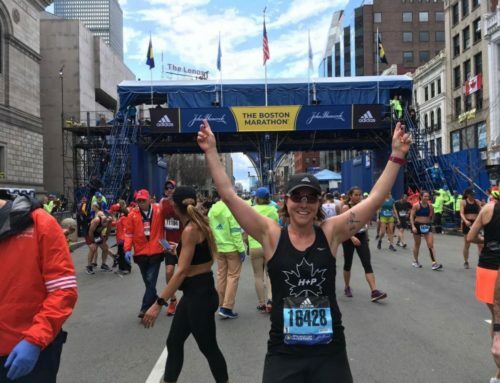 Like Andrew, she has taken her running to the next level this year. Her 1:35 half at Chilly was a career best, while her 2:22 at ATB was massive 3 minute personal best and also among her top 3 career bests. All that aside, she’s working hard at the clinic to keep many of our athletes strong and healthy. Thanks for the inspiration team, and congrats on your accomplishment. Onwards to April!